ONLINE TICKET SALES ARE CLOSED, BUT TICKETS ARE STILL AVAILABLE AT THE DOOR! 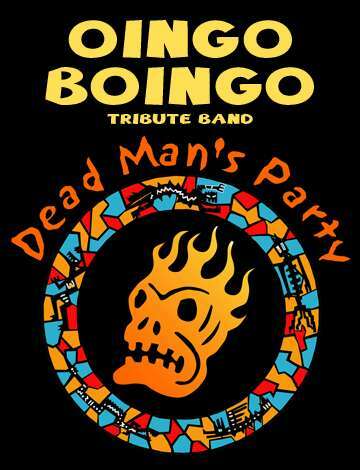 Oingo Boingo/Danny Elfman tribute band Dead Man's Party returns to Gaslamp Long Beach! Dead Man's Party is excited to announce their return to the Gaslamp Long Beach; a GREAT venue, restaurant and bar! Located in Marina Pacifica (South Long Beach) the venue has a huge lot with TONS OF FREE PARKING, is FREEWAY CLOSE, the food is great, the drinks are reasonably priced, and the sound system is at the top of it's class! Doors for the concert are at 9:30 P.M.
Dinner seating for the Mayweather VS McGregor starts fight at 5:00 P.M.
UFC viewing is a pre-show event and is subject to a separate ticketing fee. Dead Man's Party goes on at 10:00 P.M.
TABLE RESERVATIONS AVAILABLE. Book online through opentable.com or call Gaslamp Restaurant and Bar at 562-596-4718 for more info. Online ticket sales end before doors open on show day. Tickets will be available at the Gaslamp thereafter. Ticket sales are offered and processed by Dead Man's Party; not Gaslamp Restaurant & Bar. All ticket/will-call purchases are final and non-refundable.